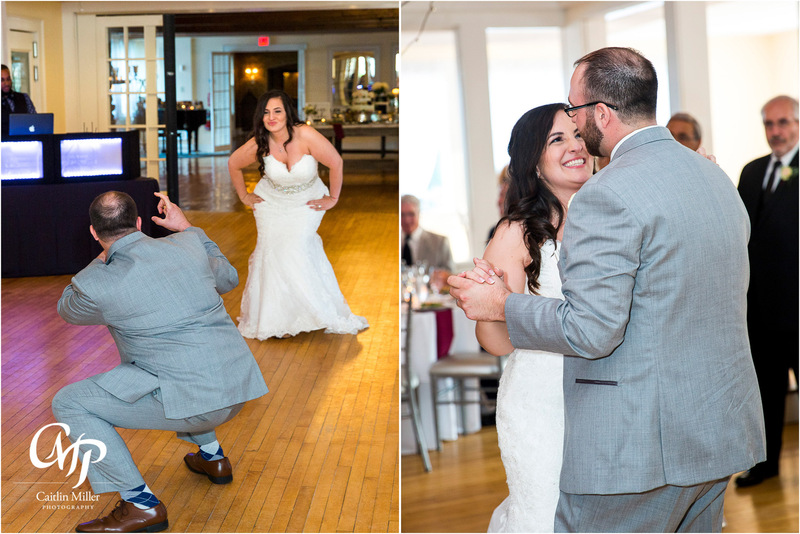 Sara and Mark’s rainy wedding day began with giggles and dance music as Sara and the girls got ready for the big day. 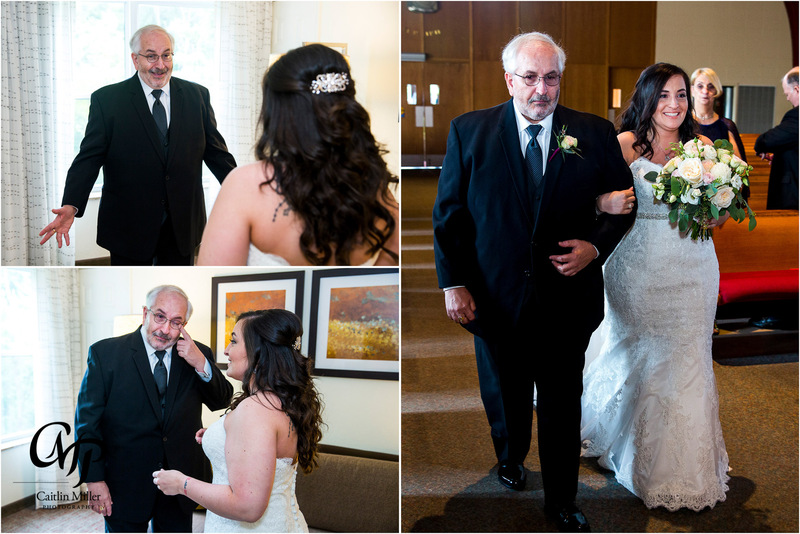 Sara slipped into a stunning lace gown before sharing a tearful “first look” with her dad. 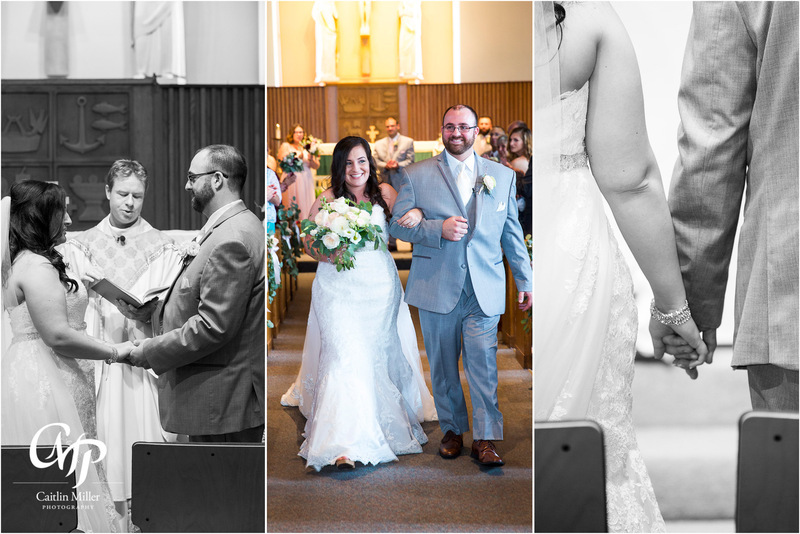 She inspired tears in husband-to-be Mark as well as she walked down the aisle of their chapel. 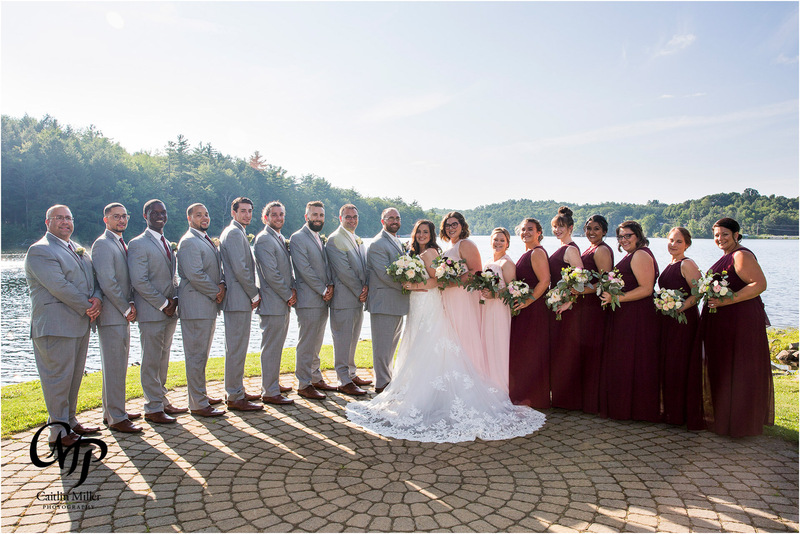 A traditional Catholic ceremony followed before the newlyweds joined family and bridal party for their formal photos. 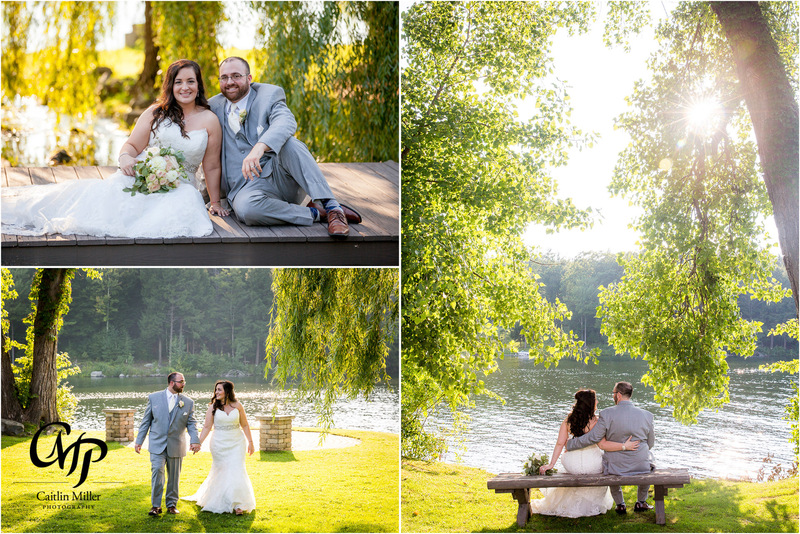 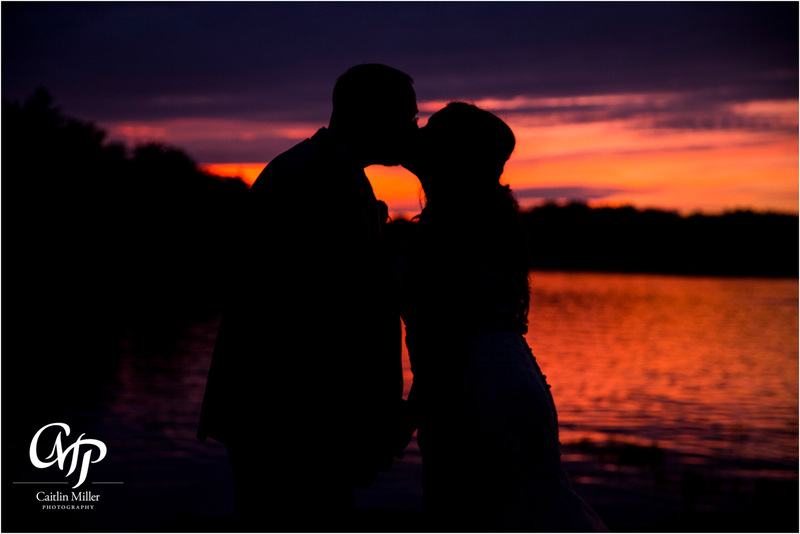 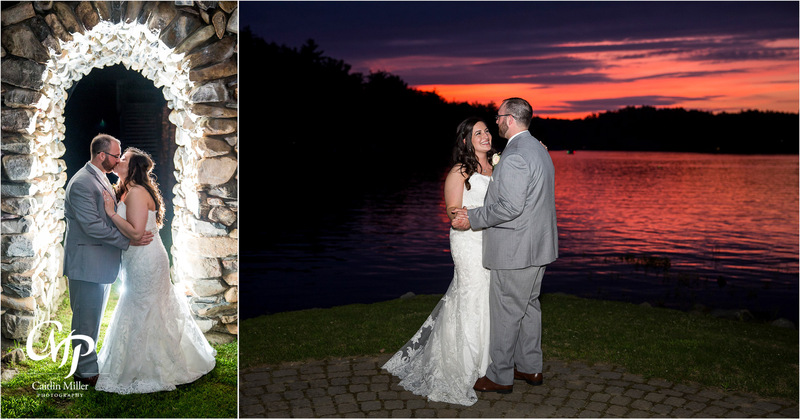 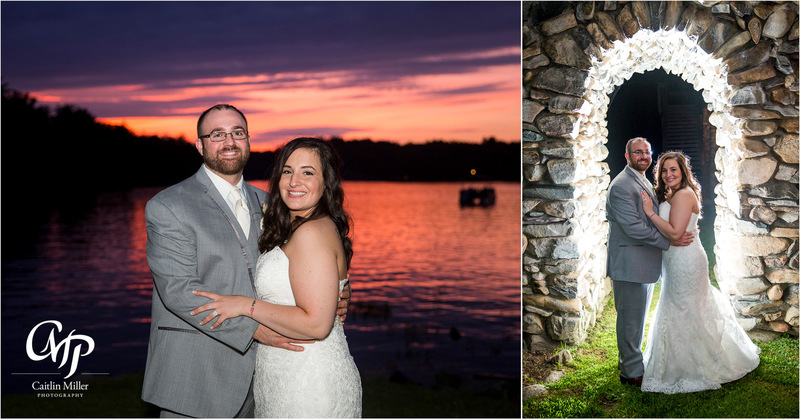 The skies cleared just in time for some golden hour and sunset photos along the beautiful lakefront of the Old Daley on Crooked Lake. 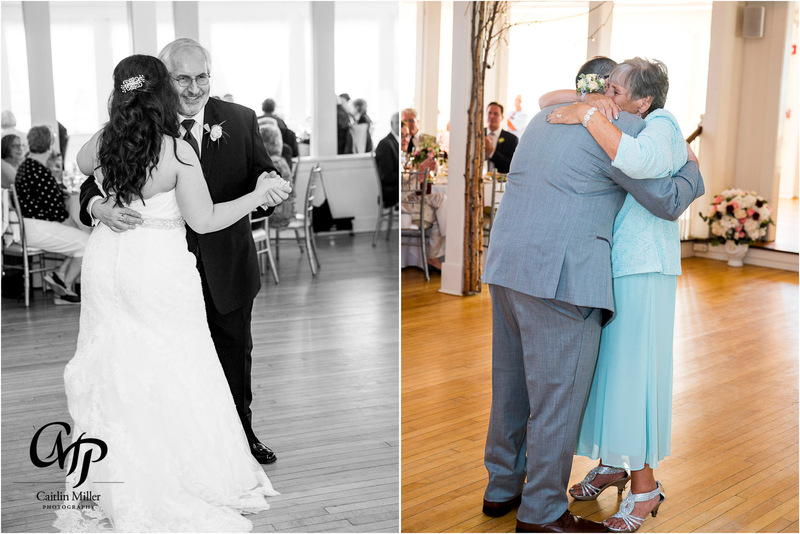 Guests joined the couple inside the Old Daley’s romantic ballroom where Sara and Mark shared their first dance and parent dances. 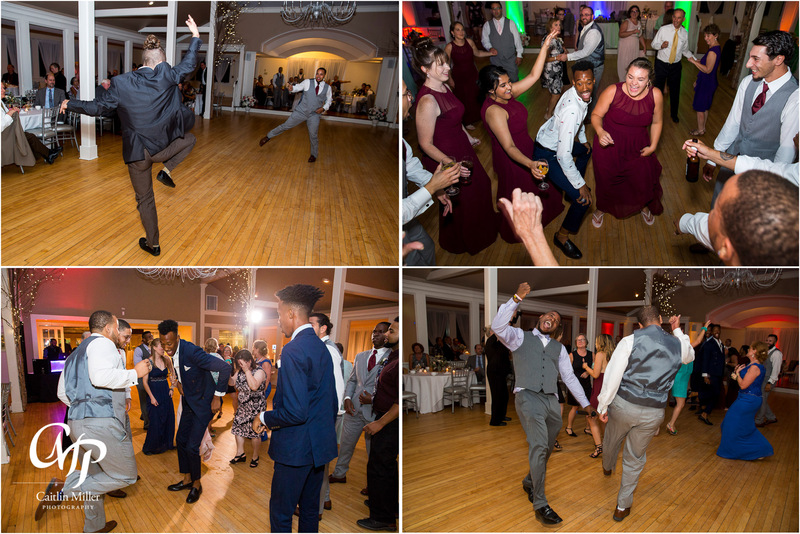 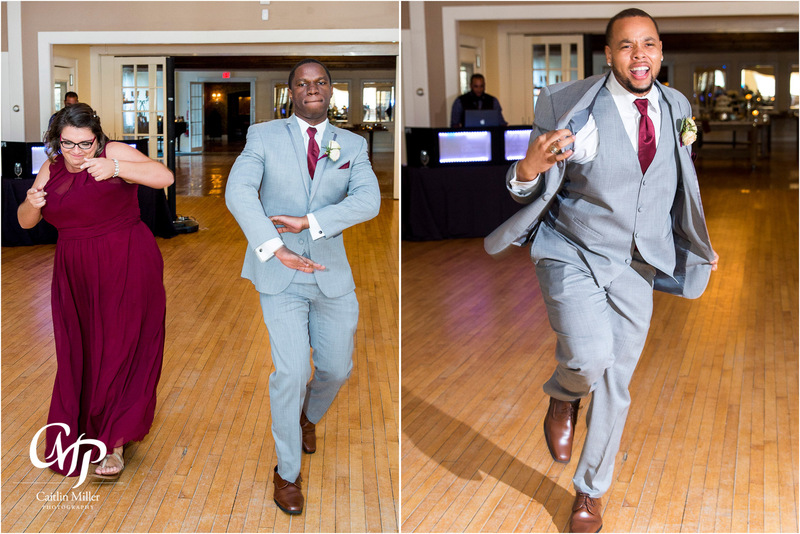 A huge dance party carried the wedding late into the night and guests certainly brought their dance moves! 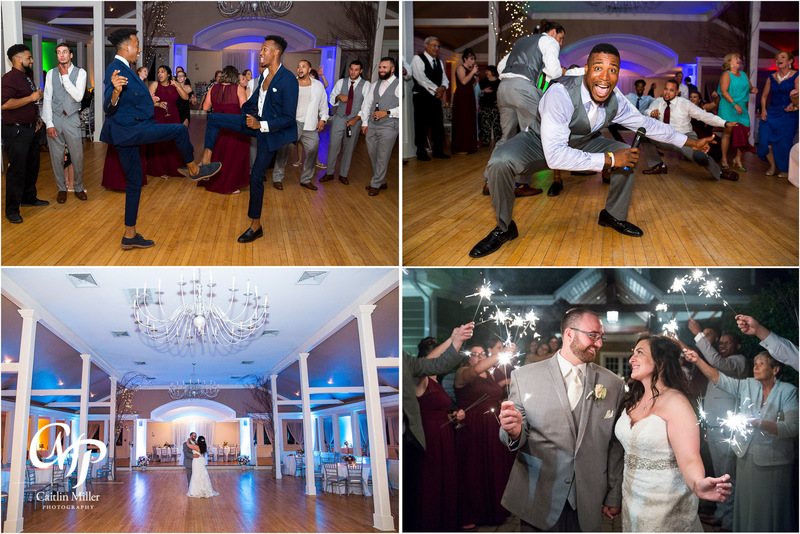 The couple ended their wedding night with a spectacular sparkler sendoff down the steps of the Old Daley. 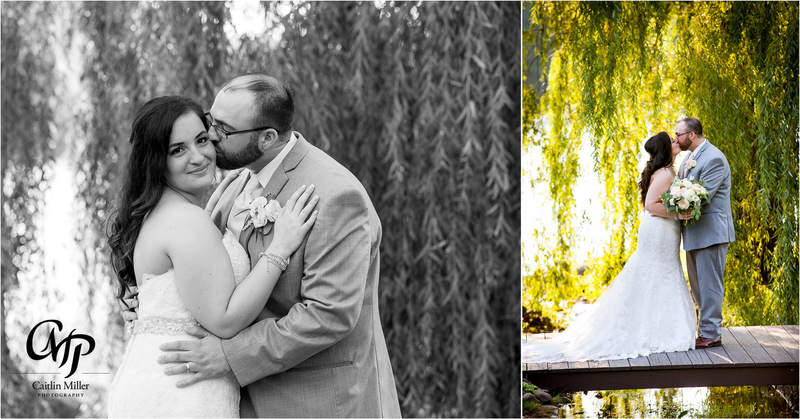 Best of luck to this meant-to-be couple!